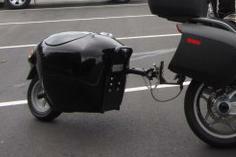 A collection of some single wheel Pull Behind Motorcycle Trailers. 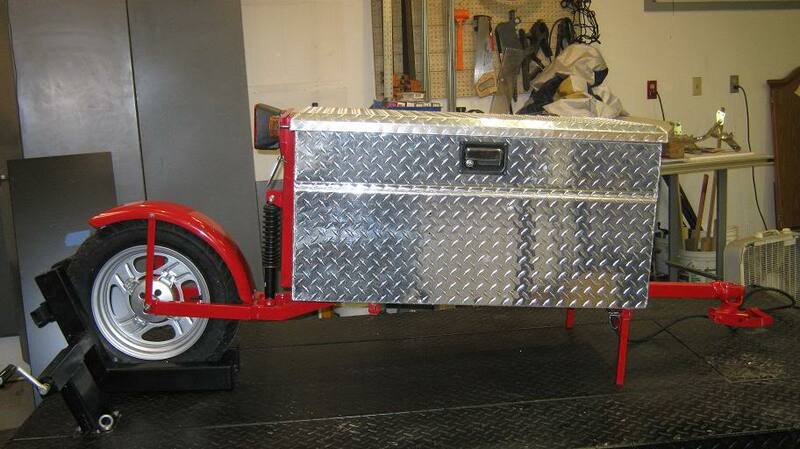 Manufactured, home-made, garage-shop ; a trailer is an easy way to haul what you want, when you want. 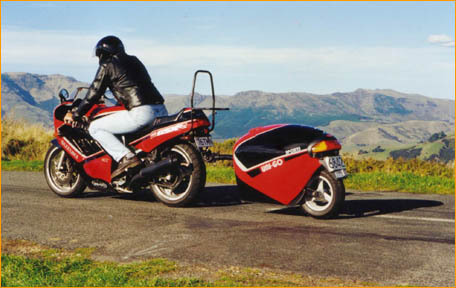 Single wheels are great for the light to mid-range weight class motorcycles. 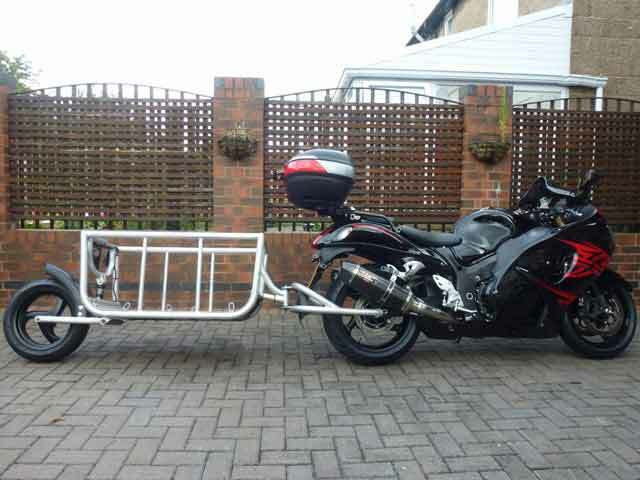 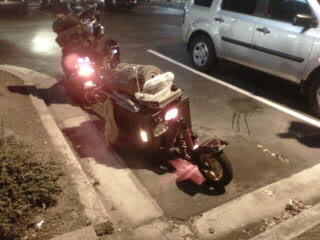 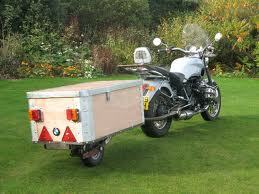 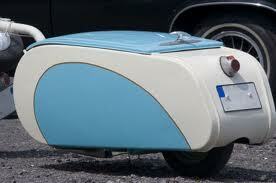 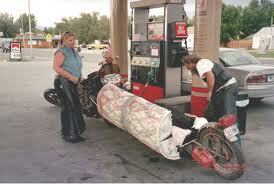 Don’t think that your Sport Bike or Cafe Racer can haul a trailer? 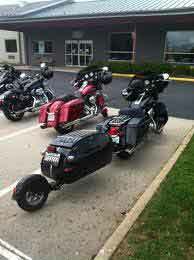 Check these out. 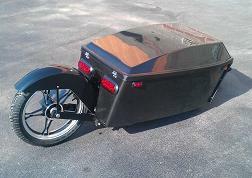 Lane splitters, sport bikes, and light-weights. 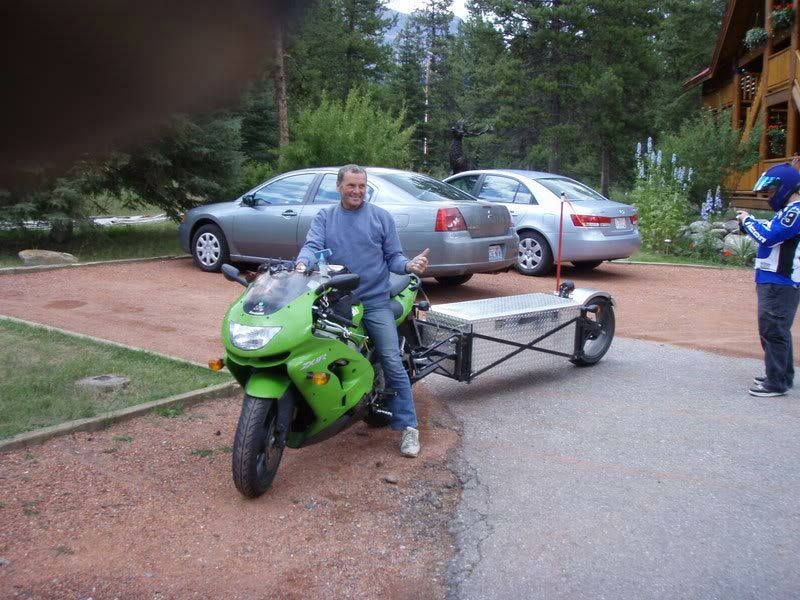 If the weight of you and your bike is a potential issue for yanking a trailer, than a single wheel motorcycle trailer might be a good option. 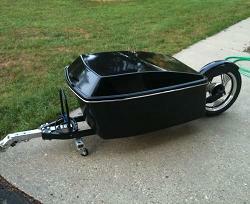 These are light weight and easy to pull. 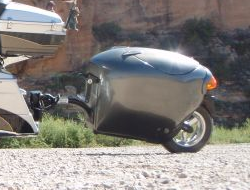 Space may be a little less than some of the two wheel counterparts, but that would be a trade off to keep your road foot print or width in tact. 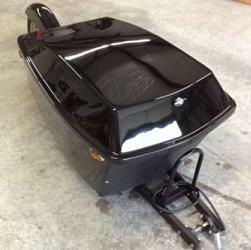 Un-hooking it and leaving behind makes these trailer more difficult to pack as they like to tip over with uneven weight distribution. 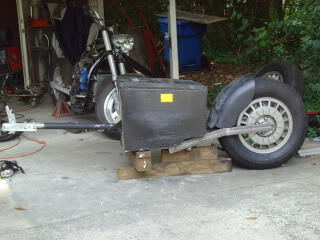 But they are easy to lift, move around, and storage on garage wall shelves or in other places. 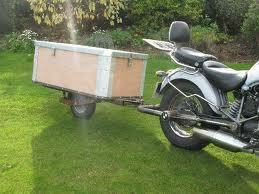 It generally only takes one person to load one of these into the back of a pickup truck bed with ramps. 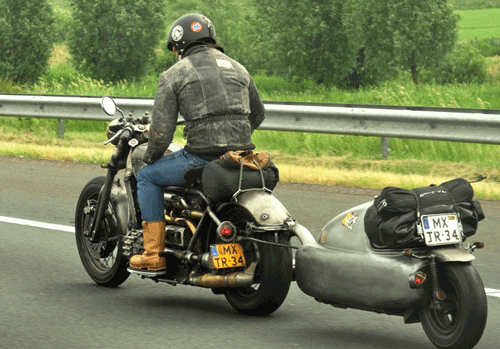 There are all different types of motorcycle riders and bikers -folks of different strokes- and also all different types of trailers to go along with those preferences. 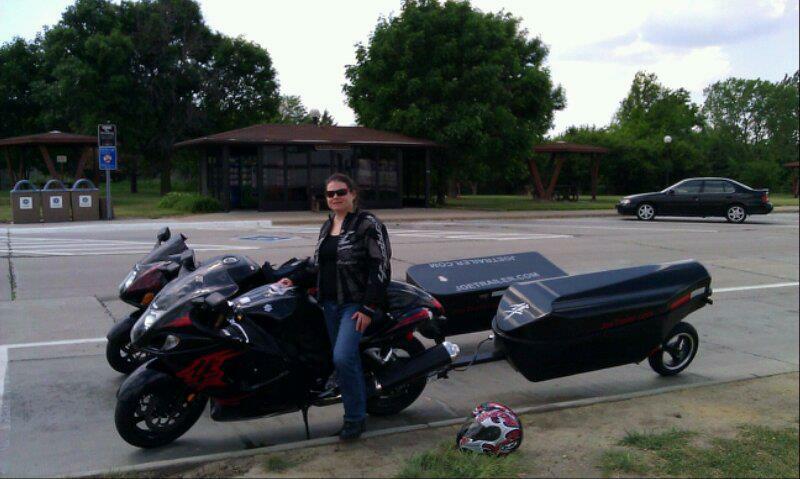 Having a sport bike, or lighter weight cruiser does not have to hold you back from bringing what you want, when you want or need to.